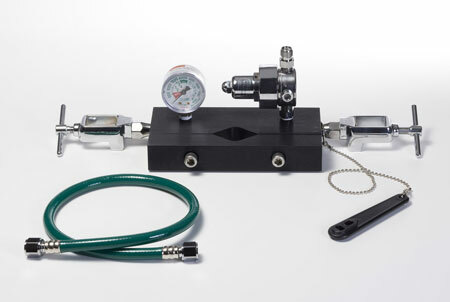 This universal manifold and yoke system has internal check valves that allow one or both tanks to be turned on. The manifold ensures that an anesthesia machine can maintain its mobility throughout a clinic or hospital. Recommended for use with V7261.